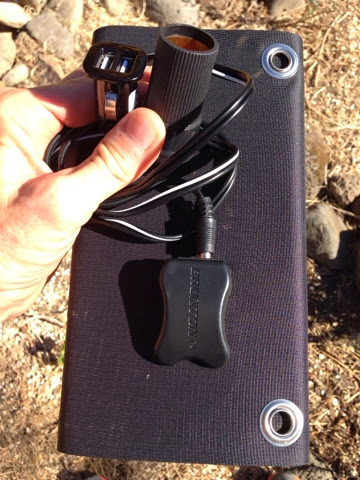 I've previously reviewed small, portable, light power packs looking for the best weight/Amp/Hr ratios (Lightweight Outdoor iPower). 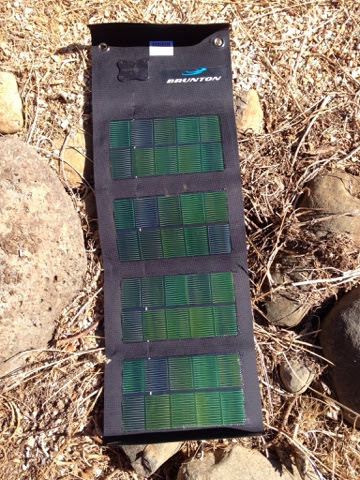 But for treks longer than three or four days, solar looks like the best option. With this in mind, I bought a Brunton Solaris 6 because it said it would charge smart phones, batteries and other devices. And it weighs just 10 ounces including cord. Unfolds and has grommets for suspending. Needs them since the backing is stiff and resists unfolding fully when cold. 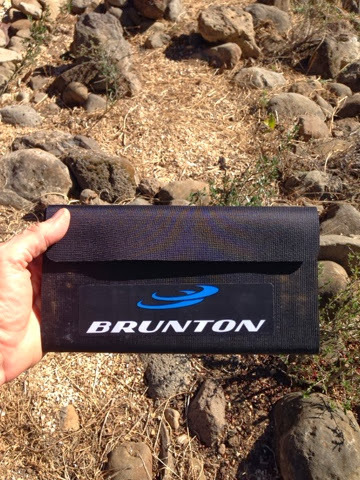 But when I tested the Brunton Solaris 6, I found that two different, Apple-compliant USB 12-volt power plugs would not charge my iPhone or the accessory battery pack I carry. The iPhone said the adapters (which work fine with the iPhone in my Silverado 4x4) "was not supported. " One reason for the malfunction could be voltage. I measured the Solaris no-load voltage at 19 volts which seems too high for input to a USB plug (see last image, below). Generally, a Direct Current device like this drops its voltage under load. 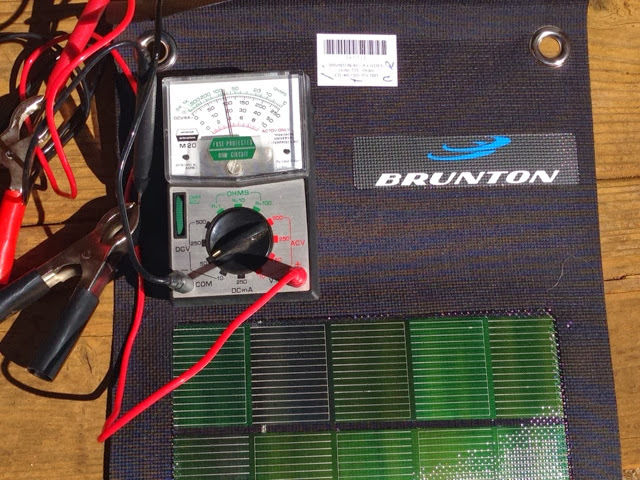 Solaris rates this product's maximum output at 15.6 volts, but the measured voltage is higher. Sadly, the Brunton web site has little for customer support. No forums, user board, help or FAQ pages. I left a post on their Facebook page, and am waiting on response. Tuesday, Oct. 1 update: After the FB Post, I emailed Brunton. Still no response. This does not bode well for the company as a whole if it cannot support its products. The Brunton Solaris 6 seems to be an unsophisticated and badly supported product which does not live up to its claims. Company literature said it would charge smart phones, batteries and other devices. But this Apple-compliant USB charged plug for automotive power would not charge. Solaris Voltage at 19 volts which seems too high for input to a USB plug.